I'm the first one to admit I'm a bit of a nosy girl. I like to know what's going on in order to keep one step ahead of the game. I also like looking at things, and seeing if I can use what I see to my advantage, to better myself or my life. 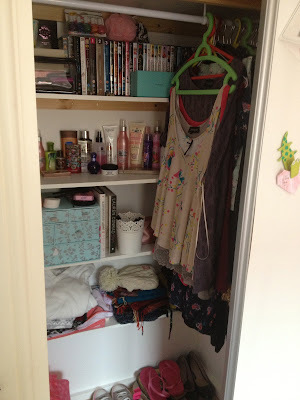 This goes for room tours, house tours, make-up collections, hauls, storage collections, wardrobe tours - the lot. I think everyone loves a little nosy trip around the parts of someone else's life that they're willing to share with the world. What better way to find inspiration than through the eyes of someone inspiring? This is one of the reasons why I adore YouTube, and while I don't have the get up to create YouTube videos myself, I love nothing more than meandering through the lenses of some of my favourite 'gurus'. I've recently been watching a lot of room tours. Granted they're mostly teenage American girls displaying they're epic sense of interior design, but when you're on the verge of a complete life upheaval like I am (6 months until graduation, finding a 'proper' job, getting a 'proper' house etc) it's nice to have a peek into other people's style and bookmark ideas for your own cosy nook in the world. 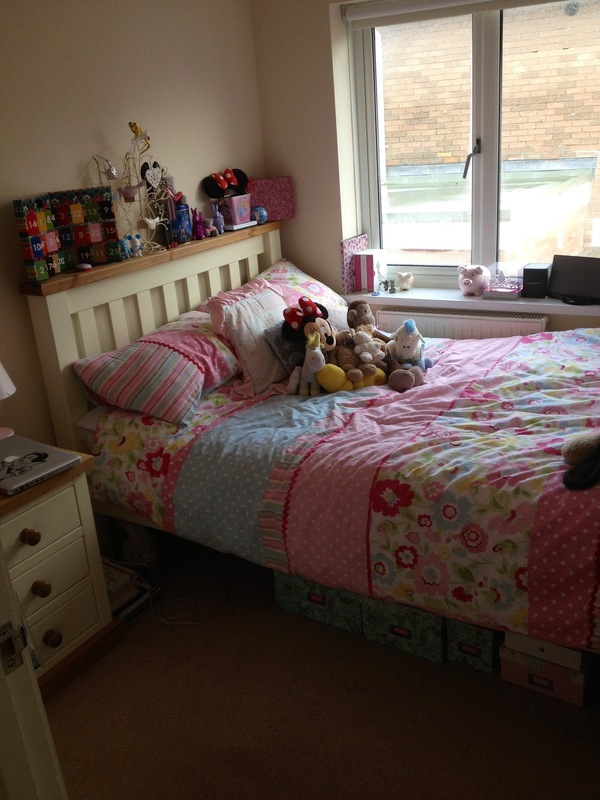 This is my home room, my bedroom in my Mum's house in Devon. We moved into this house in February of 2011 and I landed the smallest room (even though I am the eldest child) much to my despair and hatred for my younger brother. It's literally the tiniest, but cosiest, space in the world. My bed is 3/4 (I was determined to have a double or something similar) and it takes up practically the whole room, but I do have a lovely built in wardrobe with shelves at the back for all my cosmetic needs, and a bedside table that houses my top drawer of miscellaneous items and my underwear collection. 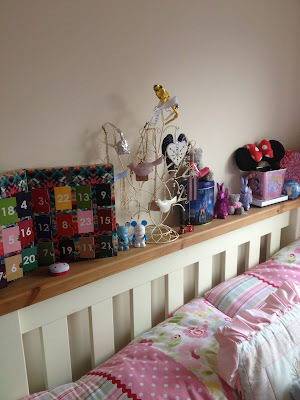 It's not decorated that well, the colours are mismatched but girlie and the walls are clinically white, and sometimes I think it could pass for a 6 year old's playroom, but I secretly love it. All of my books live in the spare room due to lack of space, but I'd put up some shelves if I found some I love. I'm definitely in the process of clearing out the remaining clutter that I have in boxes under the bed, as well as sorting through my wardrobe and bookshelf. I'm such a neat freak, I like having things, but I also like the minimalist look (the two don't marry well, eh!). In June I somehow have to fit all of my Durham room into this one (i.e. another wardrobe of clothes, books, make-up etc) and that worries me somewhat. Perhaps the beginning of 2013 will see a large sale on eBay...? Are you a hoarder or do you like the minimalist approach? If you've ever done a room tour please leave me a link below. Have you entered my 10,000 page view giveaway yet? Do so here! 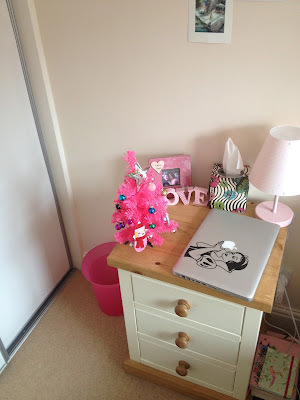 You have a really cute room, mine is so boring now everything I own is at uni! Wahoo! Thank-you, I'm just worried about how it's going to look when my uni room's merged into this one - eek! aw your room is so cute & cosy! I'm definitely a hoarder, though I wish I wasn't. My room is cluttered with nonsense! Hehe, thank-you - cosy it most certainly is! Hi 5 with the nosy bit :) I honestly can't wait to move out and get a little nest somewhere! Thank-you very much :) I got the decal on eBay, it took me forever to choose one!